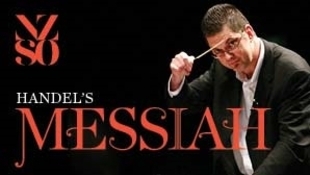 It would be the festive season without Handel's Messiah and the New Zealand Symphony Orchestra are happy to oblige. This year the performance will again be led by Australian broadcaster and Handel scholar Graham Abbott, who has conducted the work more than 70 times. Soprano Madeleine Pierard returns to sing the arias supported by an able cast and critically acclaimed early music ensemble The Tudor Consort. A free talk takes place before the concert.